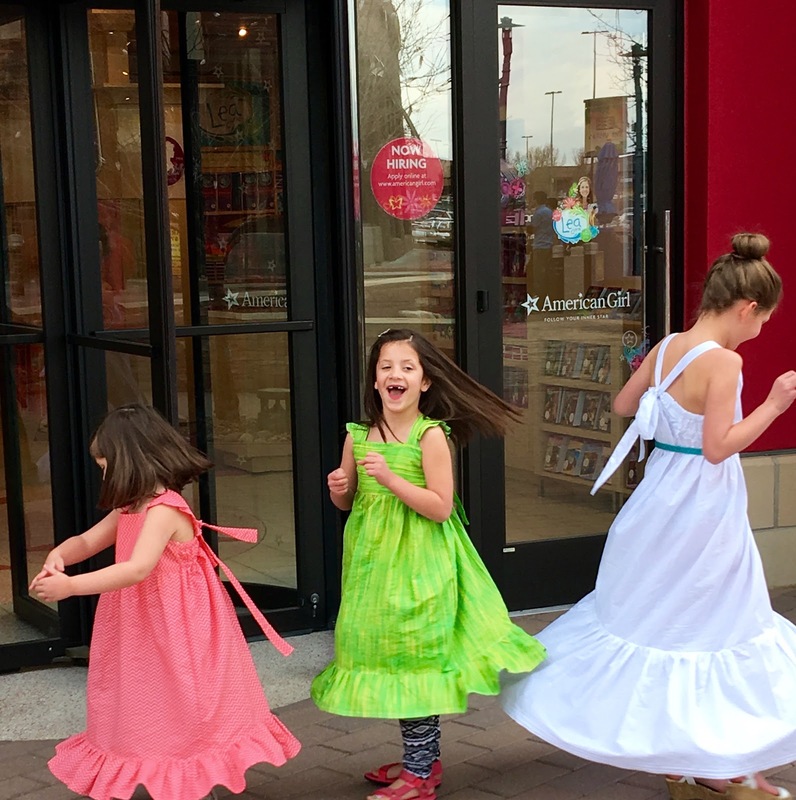 Harper turned 5 recently and she wanted to celebrate the day wearing a mommy-made dress. 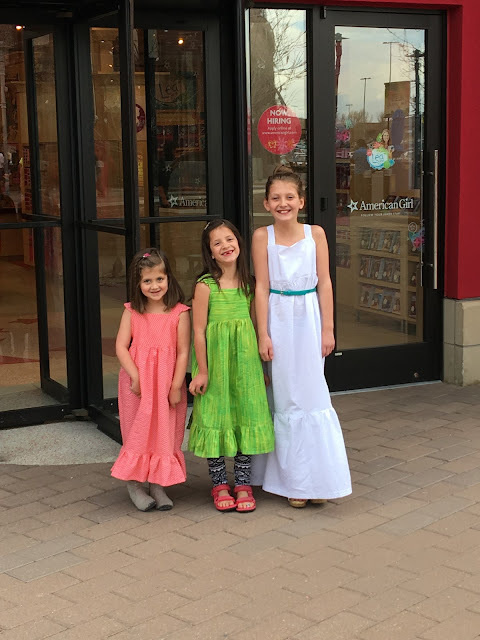 She picked the pattern (Simplicity 1121) and fabric for herself and her sisters. I used View B for Harper and Sara Paige (green dress) and View C for Katie. 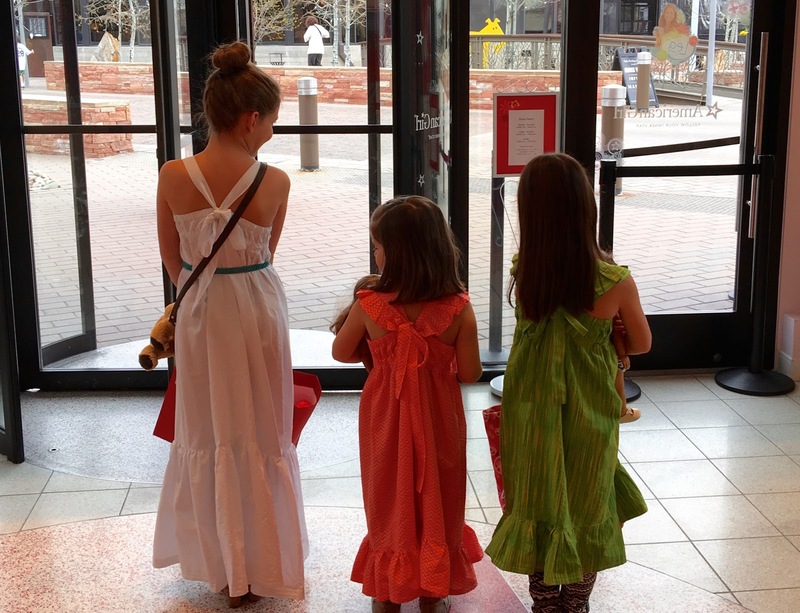 The girls and I thought the long straps and ruffles were fun. There are a gazillion fun prints and mix-match fabrics I think would look really cute with this pattern. Overall, I'd make it again if I needed a sweet, simple, and girly summer dress.